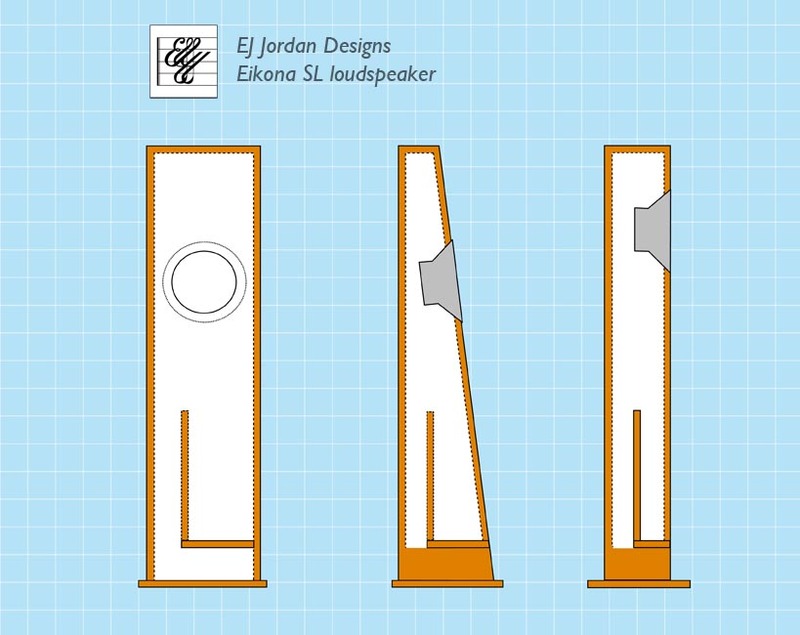 The new Jordan Eikona SL loudspeaker enclosure is a compact, alternative to our VTL enclosure design. Ted Jordan’s VTL transmission line remains deservedly popular but we have had a number of requests for a cabinet which is smaller and easier to build. The SL provides this without compromising too much on bass extension. Uniquely, we are offering the design in two versions. Version A is the no-compromise enclosure featuring an attractive sloping baffle. The 7º slope serves to break up standing waves within the enclosure, strengthens the side walls and provides greater dispersion of the sound from the Eikona full-range driver unit. Version B is the same height and width but the front panel is vertical and the Eikona placed higher in the cabinet to get it to ear level. In terms of sound, version B requires slightly more damping to reduce internal reflections but is an easier cabinet to build. Some of you may also prefer the appearance. In both versions, the port is built into the structure of the cabinet, making it more rigid. The cabinets should be built in mirror-image pairs, with one having the port on the left, the other on the right. This gives the option of boosting low bass by placing the ports closer to the wall when the loudspeaker is angled inwards for the best stereo image. The SL is designed to be operated near a rear wall and features a built-in stand to allow the downwards-firing port to function correctly. The sides of the cabinets can be extended, if required, to raise the Eikona, but should not be reduced below 50mm. The built-in stand makes it possible to fit connection terminals to the base of the speaker and keep them out of sight. The plinth can be increased in area to maintain stability on carpeted floors and spikes can be fitted if required. We recommend grilles are fitted to protect the Eikona drive units. 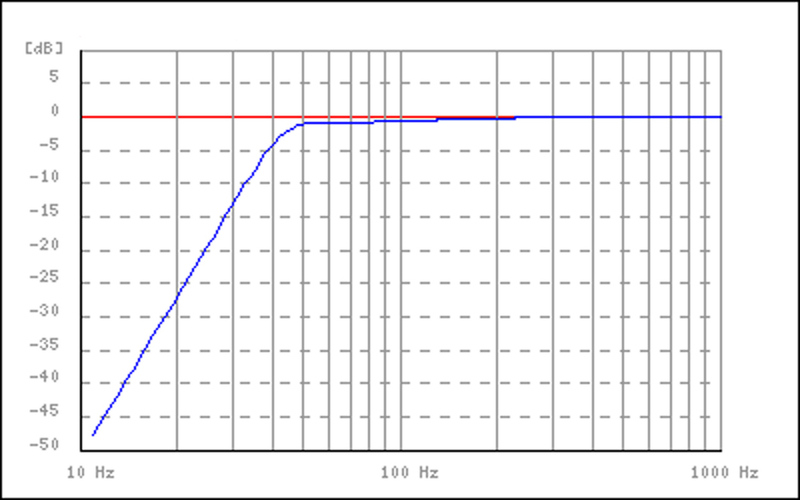 Bass response extends below 40Hz in-room and sounds fast and responsive. The Eikona SL is ideal as a compact music system or as part of a home theatre with a supporting subwoofer below 50Hz. You can download the PDF construction guide here and it includes plans for both versions of the SL. As ever, if you build this cabinet, we would be interested in seeing photographs of your project and the finished loudspeakers and sharing them on our Facebook and Pinterest galleries. Tagged Eikona, Jordan VTL, loudspeaker, project.